I know why you're all here, so let's just cut right to the chase, shall we? aycelcus drew In the Interest of Peace and Goodwill for alaana_fair. sugareey drew Unraveled for chibitoaster. katerina_black drew Slipping Away for nursedarry. moonlitdark drew Finding Peace for fireflavored. plotting_pen drew "You have never looked more beautiful to me." for aycelcus. thilia drew Stolen Moments for naturegirlrocks. scarletscarlet drew Love and Scandal for snegurochka_lee. chibitoaster drew On Slippery Ice for tigersilver. citrus_lime drew Fragile Reality for lomonaaeren. quimvaa drew Merry Monster for bootsy_mine. star_sailor13 drew They're Waiting for You... for moonlitdark. phoenixacid drew Couch Warmers for rickey_a. lokeloke drew A Promise To Return for crimson_stained. red_rahl drew All Decked Out for coffeejunkii. pennswoods drew Regard for acromantular. misterwalnut drew Vigil amidst a flurry of white for dirty_darella. _aurora_sky_ drew Unwrapped for frayach. calembours drew Let's stop a moment for femmequixotic. reira_21 drew Your hair is bare live wire for megyal. pink_mint drew Electrical Storm for snarkyscorp. cassie_black12 wrote In Vino Veritas for noeon. treacle_tartlet wrote You Can Leave Your Hat On for enchanted_jae. winnett wrote The Uninvited Guest for leo_draconis. megyal wrote I Await A Protector for emmagrant01. marguerite_26 wrote Packing the Flat for scarletscarlet. amightypenguin wrote The Beginning of Reality for taradiane. tealeaf523 wrote In Which Draco Secretly Has a Happy Christmas (But He’d Never Admit It) for treacle_tartlet. hereticalvision wrote Start with a Strong and Persistent Desire for dm_p. leela_cat wrote Excuses, Excuses for teya_yashitoda. musamihi wrote The Waters Know Their Own for bryoneybrynn. dm_p wrote Stone of Hope for ennyousai. leo_draconis wrote Bound and Determined for chemical_haven. a_execution wrote Over the Withered Bracken for fireelemental79. alisanne wrote The Christmas Wish for oldenuf2nb. chemical_haven wrote Help for lokeloke. dirty_darella wrote Life Lessons: The Flying Chapter for quimvaa. naturegirlrocks wrote Lucky Break for auntpurl. sassy_cissa wrote The Cider Press for winnett. fireelemental79 wrote Of Muggle Muggings, Mysteries, and Tattoos for dysonrules. scarletladyy wrote Absolute Certainty for snarkyscorp. enchanted_jae wrote Santa Claus Surveillance for tealeaf523. melusinahp wrote Love is… for scarletladyy. nicevenn wrote The Lovers' Circle for pennswoods. fireflavored wrote The Page Eleven Wars for marguerite_26. okydoky wrote The Stars All Explode for phoenixacid. rurounihime wrote Don’t Call Me Back for sugareey. ennyousai wrote Snowflakes for hereticalvision. nursedarry wrote Love In Lieu for eanelinea77. tigersilver wrote Bridges for citrus_lime. eanelinea77 wrote Forgive Us Our Trespasses for thilia. lomonaaeren wrote Burns Out Another's Burning for okydoky. bootsy_mine wrote School Days Remembered for misterwalnut. auntpurl wrote Home For The Holidays for soul_bound_8686. snarkyscorp wrote It is the Moonlight, It is the Rain for mijeli. arineat wrote A Very Malfoy Christmas for cutecoati. coffeejunkii wrote Draco Malfoy's Worst Christmas Ever (It's All Harry Potter's Fault) for amightypenguin. mindabbles wrote This Unexpected Windfall for themostepotente. emmagrant01 wrote Five Times Draco Malfoy Got Sacked (And One Time He Didn't) for faithwood. snegurochka_lee wrote (Ninth Rehearsal for) The Main Event for literaryspell. mijeli wrote In the White for mindabbles. 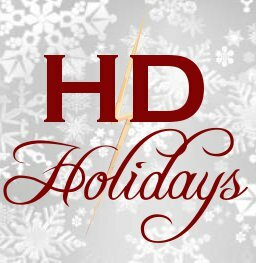 teya_yashitoda wrote Headed in the Right Direction for hd_holidays. spark_of_chaos wrote Point of Entry for plotting_pen. cutecoati wrote Meeting the Malfoys for sesheta_66. soul_bound_8686 wrote The Partner Interviews for a_execution. sesheta_66 wrote Elemental for spark_of_chaos. literaryspell wrote Turning, Twisted for hd_holidays. grey_hunter wrote Harry Potter and the Case of the Befeathered Ninja for red_rahl. themostepotente wrote A Quiet Full of Longing for katerina_black. florahart wrote True Story for leela_cat. bryoneybrynn and marguerite_26 wrote Baby, It’s Cold Outside for arineat. crimson_stained wrote Home by Christmas for hd_holidays. oldenuf2nb wrote When Hippogriffs and Pygmy Puffs Collide for florahart. alaana_fair wrote Birth of a Wandmaker for alisanne. dysonrules wrote Lipstick for star_sailor13. snarkyscorp wrote Between the Known & The Unknown for melusinahp. rickey_a wrote The Future Is Unwritten for dragenphly. acromantular wrote Conformation Change for grey_hunter. noeon wrote Conquering the Dark for _aurora_sky_. frayach wrote On The Couch for reira_21. dragenphly wrote The Altar for frayach. frayach wrote Promise Me for pink_mint. bryoneybrynn wrote Said and Unsaid (or, The Value of Knowing When to Stop Talking) for cassie_black12. dysonrules wrote Decoy Dilemma for rurounihime. blamebrampton wrote Of Hoof Picks, Centaurs, and Flight for calembours. femmequixotic wrote As Souls From Bodies Steal for musamihi. faithwood wrote Bitter Honey, Green Night for nicevenn. taradiane wrote Some Kind of Wonderful for sassy_cissa. If I've screwed anything up in the usernames/links, please let me know...it happens every damn year no matter how many people check my work beforehand, don't take it personally! SO...who surprised you? It was interesting to go through the poll results and see how responses varied on stories like Packing the Flat (6 different authors!) and artwork like Slipping Away (5 different artists - even more impressive since art is usually a dead giveaway, haha)...favourite response came from ginger_veela who said that was *so* snegurochka_lee. :D - and yes, it was, because your guess was right. ;-) The artists received the most guesses (easy pickings, eh? ), and it was amusing to watch the guesses on the last fic - the mpreg - getting changed from coffeejunkii (c'mon, with that header??) to me ( taradiane - hey, I like mpreg, too!) as time went on. All right, in terms of the new rules, what you read the other day is final as there were no objections to any of it (none that I saw, at least), but I would like to make one addition/clarification (helpfully pointed out by acromantular)... if you are one of those multi-talented folks who can both write and draw, and throw your name into the writer lottery and do not get selected, we would gladly take your art! You would need to tell us that that is your intention, as we won't assume otherwise, but you are more than welcome to change your 'talent' should my trusty excel not spit out your number as a writer. Lastly, we want new icons! Artists, if you have contributed to the fest before, do we have permission to make icons from your work? I got no one but my own gift's author right and I guessed on her. heh. Thank you to everyone for putting together a wonderful fest this year! Also, big thank yous to nursedarry for my wonderful gift! I don't know if you all are keeping track of recs, but I rec'd a fair few of the stories here at Rec Page 1 and Rec Page 2 The art is at the very bottom. The first page has many different fandoms in different groups and the second page is just HP so far. see, i can write stories that don't have babies in them ;). i'm thrilled to see that some of my favorite fics were written by some of my favorite authors (hmm, perhaps not all that coincidental!). I LOVED your fic. Absolutely loved it! Omg thank you, Pink Mint and scarletladyy!!!! Both my fic and art were fabulous!! I am way too lucky :D!!!!! AAAAH! Thank you SO much tigersilver for the wonderful gift! And mods, thank you for this wonderful fest! Huge squishes, luv! That was a joy to write and I'm so glad to give it to you! Have a most wonderful New Year! OMG! I didn't pass many guesses, but I got a few of them right :D Oh the excitement! And yeah... I totally fangirl Snarky SO HARD. ooh, new authors to stalk..
thanks for the wonderful fest everyone! Oh, I was surprised at a couple. I'm still reading, so I can't really comment on all of them. I will rec my favorites of the ones I have read so far. Honestly, I haven't read a bad fic yet. All of the authors should be proud because the quality is amazing in this years offerings. I want to read fics by authors that I haven't seen or read before, so knowing who wrote what will help there. Great job, everyone! Yay! The art was also amazing! I wish like crazy that I had that kind of talent. Drawing or painting would be such a cool thing to be able to do. Keep it up, guys! I always love the reveals!!! Thank you so much, once again, for an awesome fest. And extra big squishy hugs to bryoneybrynn for my WONDERFUL gift fic. I KNEW it was you!! !